LATEST NEWS! : Grand design change in affect, prepare for something new. 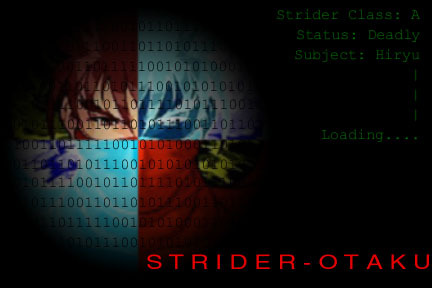 Welcome to the Strider-Otaku web site, now hosted by Classicgaming.com For those of you new to the Strider sceen, welcome. To those of you returning, welcome home.